Grab your cute laboratory jackets and get ready for fun! Now you can do something you couldn't do in a chemistry class – to drink the experiment you made! Mix water with two mystery ingredients, watch what happens and enjoy the new taste you have created! 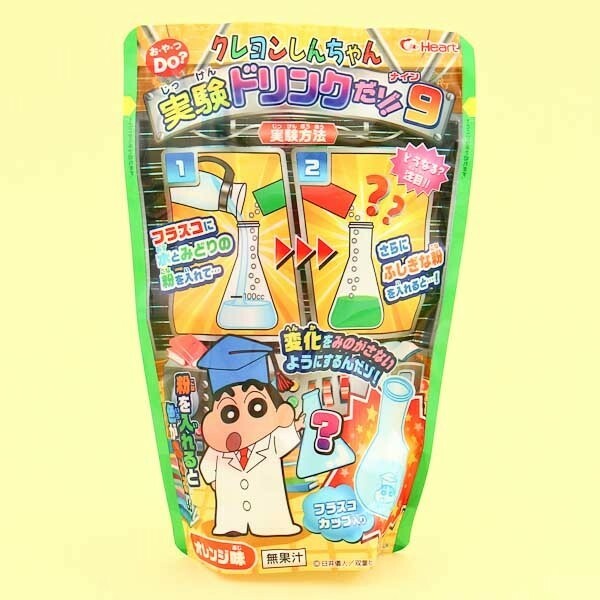 This funny DIY kit includes one plastic laboratory bottle to assure that your chemical DIY moment will lead to a new breakthrough! 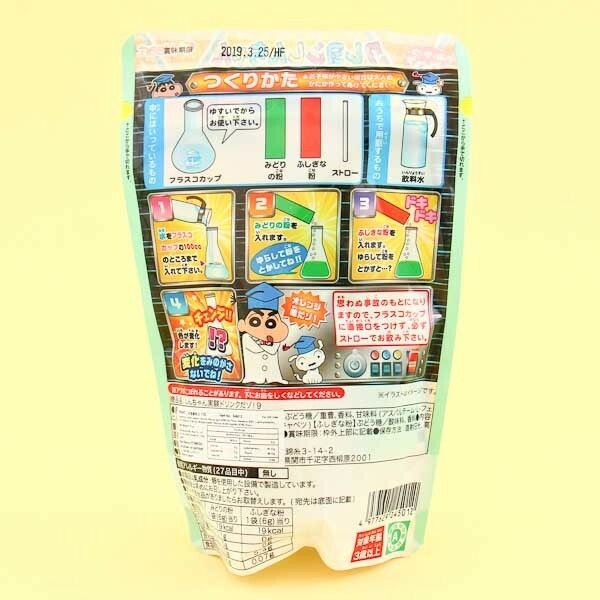 Make a funny laboratory drink experiment with Shin-chan!